The best investors often know how to spot the hidden gems. 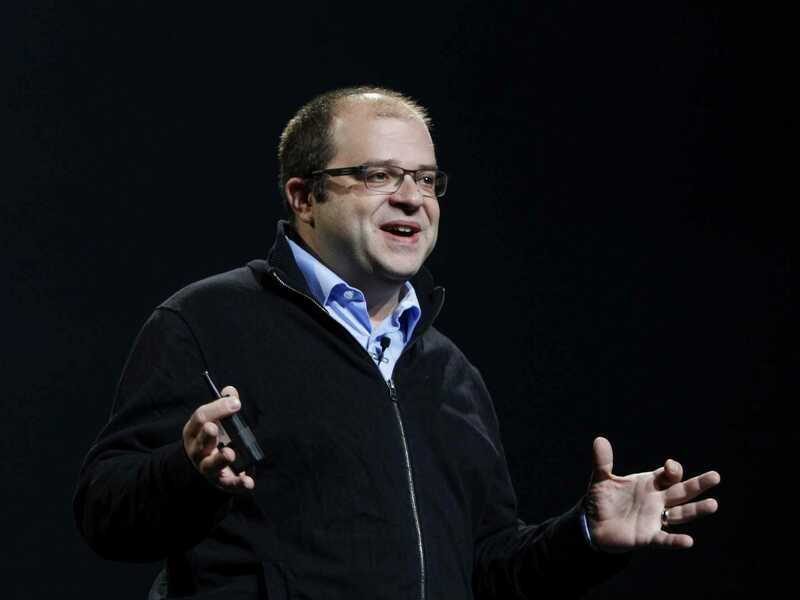 For Silicon Valley-based Bessemer Ventures, communications software maker Twilio goes down as one of its best early bets that panned out to be a home run. In fact, Bessemer liked Twilio so much that it wrote a $125,000 cheque for its seed investment on the spot over breakfast. Twilio CEO Jeff Lawson didn’t end up cashing that cheque, but eventually took the money a few weeks later when Bessemer wired it in. Bessemer joined all subsequent investment rounds for Twilio, investing roughly $70 million in the company. Twilio raised over $230 million before going public last week, and now has a market cap over $2.1 billion. That makes Bessemer’s 25% ownership stake in Twilio — largest among all shareholders — worth over $500 million as of Friday’s closing share price. Twilio, which makes it easy for developers to embed calling and text messaging features into their software, is now one of the most widely used tools in cloud software. But Deeter says even from the early days it was clear that Lawson had the conviction and vision to take his company to the next level. “He’s one of those people you believe will run through walls to get it done. He’s just a total force of nature,” Deeter says. That conviction was most apparent when Lawson was offered a huge 9-figure buyout deal worth hundreds of millions of dollars from a large public tech company in 2010, according to Deeter, who sits on Twilio’s board. Lawson debated between selling the company or taking a Series B investment to keep growing it on its own. Eventually he chose the latter, taking a $12 million round led by Bessemer. To show its support for Twilio, Bessemer even built a term sheet app on top of Twilio’s software so Lawson would get the fully drafted term sheet texted to him, Deeter says. “It was clear that Jeff was willing to bet his own net worth on the ability to grow something even bigger and that conviction helped us get support for continuing to lead the subsequent rounds as well,” Deeter said. 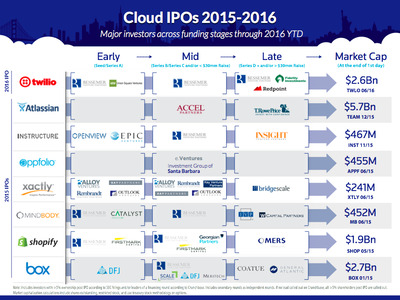 Bessemer VenturesBessemer made investments in 5 of the last 8 cloud tech IPOs. Bessemer’s early investment in Twilio is just another testament to the VC firm’s strong track record in the cloud software space. 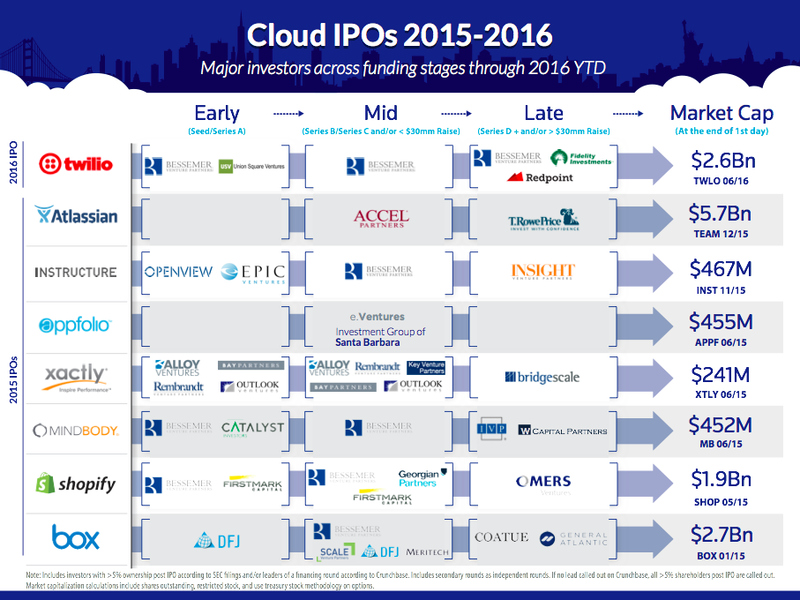 Deeter points out that Bessemer was an anchor investor in 5 of the last 8 cloud company IPOs, and that it invested in a quarter of the top publicly traded cloud companies by market cap. Bessemer’s “Top 10 Laws of Cloud Computing” is a must-read for any cloud company founder, and its “BVP Cloud Index” is a closely tracked chart for public cloud companies. 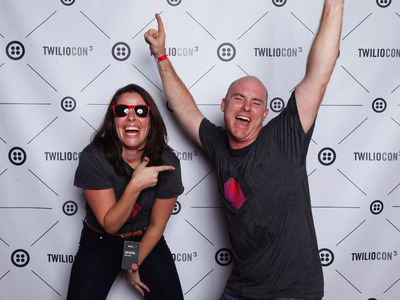 Stay hyper-focused on the customer: Lawson built Twilio’s software when his developer-centric approach was not obvious to the market. Most people didn’t believe in it, but Lawson kept pushing for targeting the developer market. “When you get that CEO vision for that super tight product focus, it’s a huge advantage and central part of it,” Deeter says. Keep an efficient business model: Focus early on the things that really matter. Clearly establish what your business model or marketing strategy is going to be before committing to other expansion plans that require more spending. “These things are really hard to change, but really impact the business model efficiency over the time,” Deeter says. Pick long-term partners: Subscription models take a long time to build, and you have to be patient to really scale the business. That means you’ll be around with your cofounders, investors, and board members for a long time. So choose the right people you want to work with. “You’ve got to look at this as a 8-plus year journey, and really pick world-class people, but also people you enjoy as friends because you’ll be working with them for a long time together,” Deeter says.